On the morning walk to drop him off at school, my son and I play twenty questions. He likes it best to think of a person and I have to guess. Is it a man? Is it a historical figure? (Only characters he knows from Horrible Histories, Doctor Who and Star Wars are allowed) Is it a king? Is it an English King? Was he a Stuart? Did he get his head chopped off? 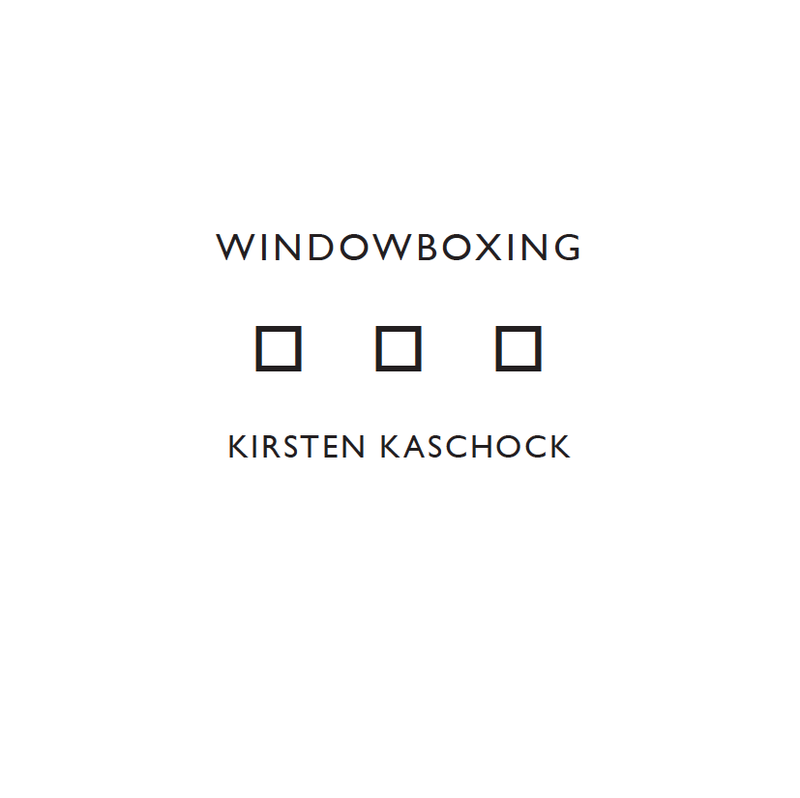 It's Charles I.
Kirsten Kaschock's combative new collection of prose poems, Windowboxing, takes aim at the presumptions of those who may play twenty questions, ask 'Is it a woman? ', and feel that they have enough information when the answer is 'yes'. Through a series of experimental poems, austere as manifestos, Kaschock celebrates women who define themselves variously, and refuse to be domesticated through gender labels and stereotypes. Windowboxing's primary concern is that such lazy thinking inevitably leads to a restrictive domesticity. The author argues that 'a box is the best shape with which to contort the soul.' Kashock's ability to reach beyond stereotypes is embedded into the design and structure of the book. If you judge a book by its cover, then Windowboxingbelongs to minimalism with its white cover and black squares and simple elegant fonts. However, this impression is deflated by the strategic planting of illustrations throughout the collection which were drawn by one of the author's children. What might be a whimsical indulgance in other hands becomes a way of holding an important tension between the theoretical artistic disciplines of an experienced and highly trained writer and dancer and the lived experience of motherhood and family life. While Windowboxing is the rigourous work of a serious author, that does not mean that the poems are lacking in fun. Kaschock is in possession of a very dry sense of humour that manifests in a love of high class wordplay. She is clearly fond of the surprises, word bombs going off, that can be found through connecting unrelated imagery, like 60s miniskirts and Volvos.